"Diamonds will become increasingly rare and valuable"
Diamonds and its business have become a controversial discussion point in India after two prominent diamond firms were found to be involved in a massive banking scam. Diamonds and its business have become a controversial discussion point in India after two prominent diamond firms were found to be involved in a massive banking scam. This happens at a time when the Diamond Producers Association (DPA), an alliance of seven of the largest diamond mining companies in the world, launched their operations in India three months ago. The DPA members together represent over 75 percent of the world's diamond production. Its members- ALROSA, De Beers, Dominion Diamond, Gem Diamonds, Lucara Diamond, Petra Diamonds and Rio Tinto, are the leading miners globally. Jean-Marc Lieberherr, Chief Executive Officer of the Diamond Producers Association (DPA), in an e-mail interview with Business Today's P.B. Jayakumar, elaborates on the industry and DPA's plans. He though refrains from commenting on the controversies in India. Jean-Marc came to the DPA from Rio Tinto's Diamond division, where he held the roles of the Chief Commercial Officer and Managing Director from 2005 to 2016 and was also on the Board of the World Diamond Council, besides co-founding the DPA and was its first chairman. DPA represents seven of the largest diamond mining companies. What is the global production currently and what is the outlook for future? Global rough diamond production is about 120 million carats. Analysts pretty unanimously predict that it will grow to about 130 million carats over the next year or so before initiating a slow decline that will see it stabilise closer to about 100 million carats, depending on which expansion projects get commissioned. It takes 10 years to find a mine and another 7 to 10 years to build it, there is a fair bit of predictability in the medium term. Which are the main diamond mining centres in the world? Are the resources depleting or are there new mines being explored and developed? There are currently around 50 active diamond mines in the world. Last year the world's largest diamond mines, when measured by the number of carats produced, were the Argyle mine in Australia, Jwaneng mine in Botswana and Jubilee mine in Russia. Jwaneng and Jubilee are also the two largest mines by value. If we look at the data on a country basis we see that the Russia, Botswana and Canada are the three largest diamond producing countries by value and that Russia and Botswana are the two largest in carats. In general, it is very hard to find new mines and while new production has come online last year, mostly in Canada's North West Territories, and some projects will be starting and expanding in 2018, including in Russia, Canada, Botswana and South Africa, we are approaching peak production and the long-term trend is one of gradual production decline. 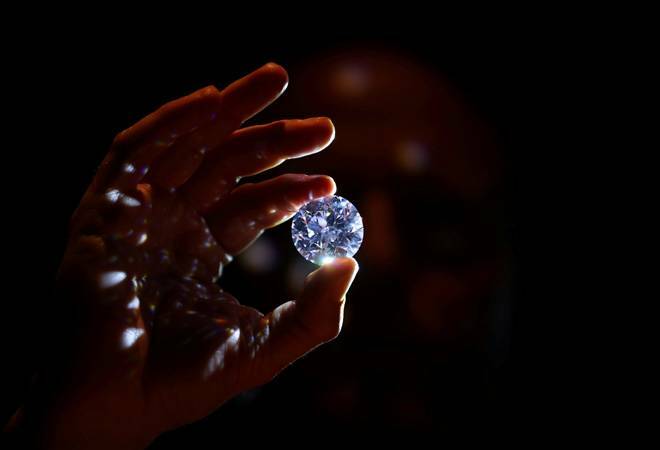 This is going to make diamonds increasingly rare and valuable as demand grows. Surat is the largest diamond polishing and cutting hub in the world. How big is this industry, and any specific reasons for this? Which are the countries globally that challenge the diamond cutting and polishing industry in India? Gujarat has become a major diamond manufacturing region since the production of small diamonds grew very significantly in the 1980's with the discovery of the Argyle mine in Australia. Gujarat had the skills, the labour, and frankly the cost structure required to cut economically these large quantities of small diamonds which almost overnight doubled the work production of diamonds. Since then, the State of Gujarat has become a diamond manufacturing powerhouse, and production has expanded away from Surat to cities like Ahmedabad and Bhavnagar. Surat today still has manufacturing but more importantly, it is becoming a trading hub, a diamond centre in its own right. The Diamond Bourse will have important facilities in the future which will support its growth into a major diamond centre. Surat is now well on its way to turning into one of India's "smart cities''. Technology has also been developing and many different phases in the cutting of a diamond are now entrusted to machines. However, nothing replaces the human eye and the human skills when it comes to polishing a diamond, which is why the diamond sector employs close to a million people in India. Though a country with second largest consumption of gold in the world, why demand for diamonds is less in the country? What are your efforts to promote diamond sales in India? Diamonds and India have had a long-standing association. They were first found in India and have been part of the country's heritage. Today, India cuts and polishes 90% of the world's production in volume. India is an extremely important, emerging diamond market, even though the country currently only contributes about 7% of global diamond jewellery sales. This is largely due to the historical importance of gold and gold jewellery but we are seeing diamond jewellery gradually becoming a more important part of every retailer's sales. Importantly, there are more opportunities for exciting designs, modern jewellery and value-add with diamonds than with gold alone. There is much headroom to grow significantly from current diamond penetration levels of about 10% in India. As the affluent middle class grows and consumer preferences evolve, there is very significant growth potential in India. For comparison, US penetration is now at about 70% and China is at about 20%. We intend to invest in diamond marketing in India to help realise the market potential of diamonds in the country and give access to more consumers to this incredible miracle of nature. We will stress the inherent value of diamonds, their ability to retain their worth, and importantly the inimitable emotional value of a diamond as a unique symbol of love. Over and beyond the rituals of giving and receiving diamonds as milestone celebration, our advertising emphasises the emotional value of a diamond as a gift of love. Today, love gifting of diamonds happens mostly after marriage, as the engagement ring market is very small today for obvious economic reasons. This will change as the Indian economy grows so the potential is significant because the diamond and jewellery culture is inherently strong in India. This is why we have selected India together with the US and China as priority markets for our marketing investment. "My vision is India will be a $1 billion business in five years"